Looking back at all the pictures of my ancestors this week, it’s been striking see physical traits that have been passed down. My dad looks just like his great grandfather. You can see expressions and bits and pieces that resemble the rest of my family now. Aside from the physical traits, I’ve also been able to see the invisible traits, in particular, Faith. 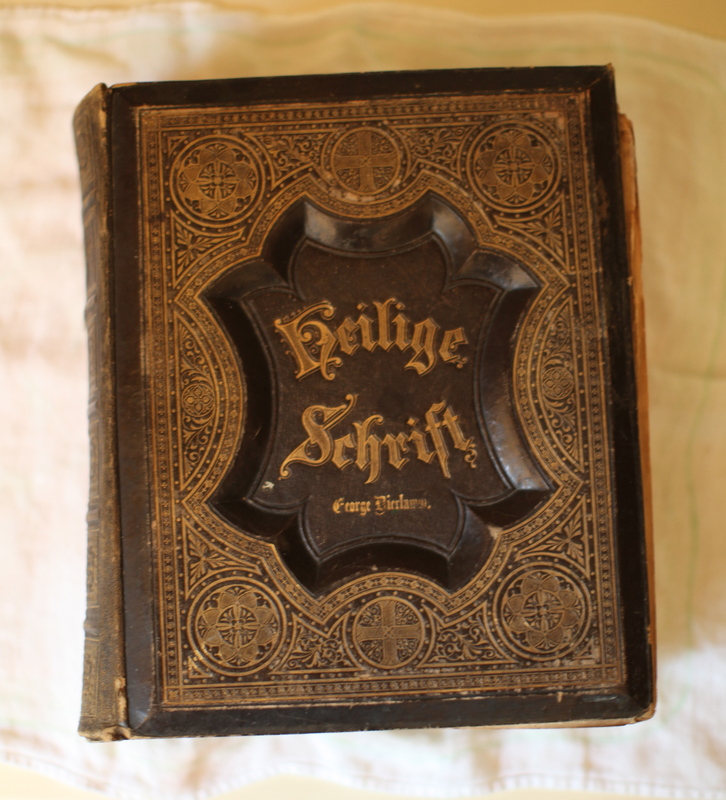 Above is a picture of my maternal great grandfather’s Bible he used as a Baptist minister in a German enclave in Pennsylvania. I wish I could have known my great grandfather. What struck me was just how much everyone who knew him loved him. Beyond the walls of the church and preaching of doctrine he lived his Faith in a way that had a lasting impact on others. My mother remembers going around with him to bring food to people in their community who had nothing, even though he had little himself, mainly living from their garden and animals they kept. What was interesting in hearing my mom talk about him is how much it reminded me of how I felt about his daughter, my grandmother (below). She was also just a loving, generous person who always thought of others. She would literally shop for Christmas presents year round for every person she knew. She was someone who I always felt so much love from when I was around her. I used to think it was just because she was a fun, kind grandmother. It struck me though listening to my mother that what I also may have been experiencing was being around my grandma’s Faith. She would always say she wanted to be like her dad was with his Faith and how he was toward others. From what I experienced and from observing how others felt about her she succeeded. Religion is something that’s come in and out of my life over the years. I didn’t go to church that often as a kid but became more involved when we moved to the Bible Belt. I fell out of the practice of going to church and reading the Bible from my mid-20s on. I especially remember traveling around India one Summer feeling conflicted about the idea one religion could be more valid than another. As I’ve slowed down from working all the time to living in a beautiful place like Colorado, it has reminded me of that sense of peace I felt being around my grandmother. My mother & sisters and I often say we hope to be like her in our own lives. Maybe what that means is to live with a little Faith. This week, I’ve definitely grown to appreciate what’s gotten me to where I am in a new light. 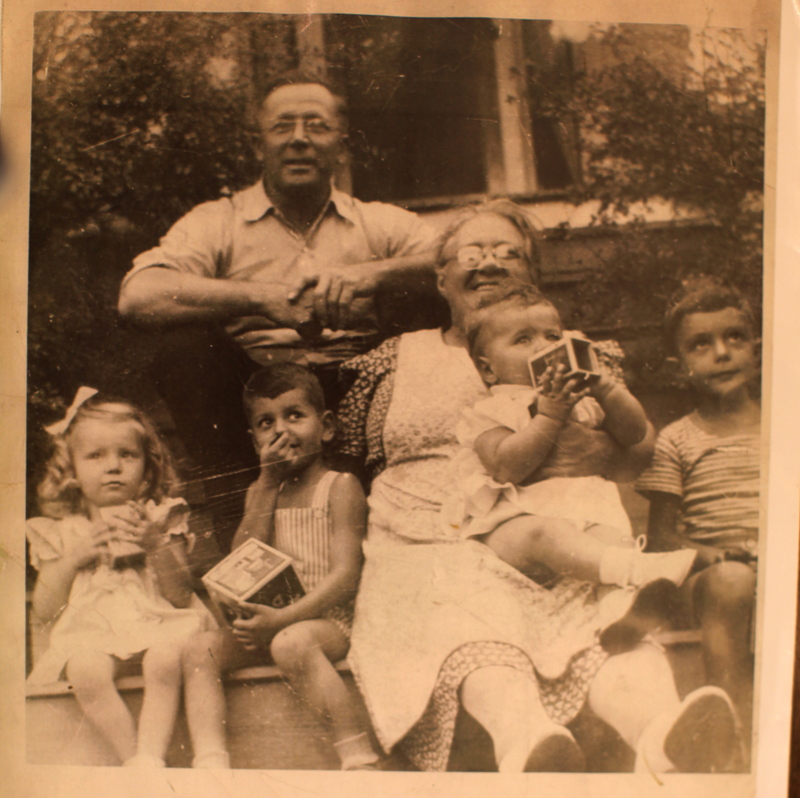 I look at my great grandfather coming to the US with nothing, raising 9 children in such a happy home. 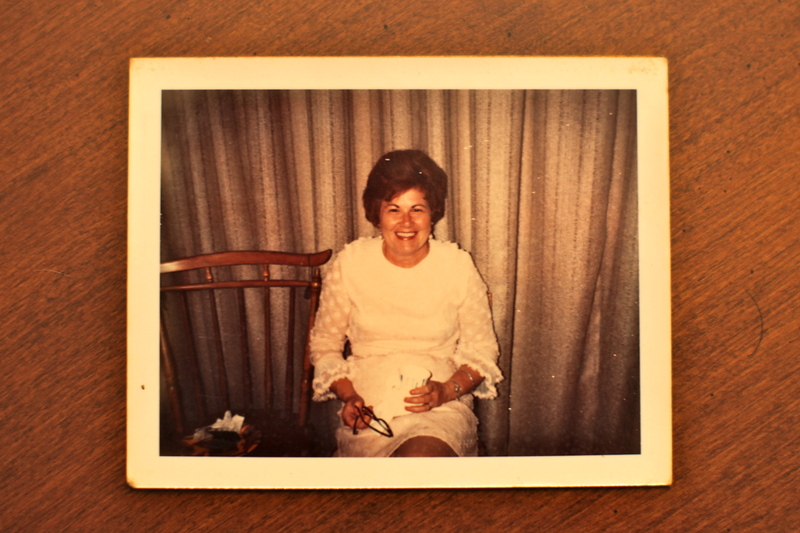 I look at my grandmother who raised my Mom while my grandfather was away in WWII, not knowing if he’d ever come back. It is so clear to me now that they had Faith. You are currently reading Family and Faith at 52 To Do.